TORONTO, ON--(Marketwired - April 04, 2016) - Cambridge Global Payments ("Cambridge"), a leading provider of integrated cross-border payment services and risk management solutions, is pleased to announce the appointment of Gary Krikler as Chief Financial and Risk Officer, effective immediately. 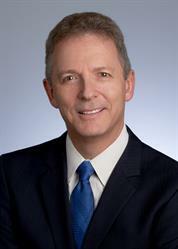 Krikler brings nearly 30 years of international experience in corporate finance, treasury, and risk management. As a key member of Cambridge's Executive Steering Committee, Krikler serves as the senior finance and risk leader overseeing the firm's global finance functions, while providing expertise on all aspects of the company's growth strategy. In this new role, he is responsible for the Finance and Risk team consisting of treasury, finance, credit, enterprise risk, internal audit, and logistic and office management. "We are pleased to welcome Gary to our Executive team as he brings a wealth of industry experience and knowledge that will help guide Cambridge during a period of significant global expansion," said Gary McDonald, Chief Executive Officer at Cambridge Global Payments. "The additional risk management portfolio to this role coupled with Gary's international finance experience will better position us for strategic advancement in delivering integrated payment solutions around the world. We look forward to Gary's involvement in helping drive this initiative with our leadership team." "I am delighted to join Cambridge as the company continues to make strides in penetrating new markets outside of Canada," said Krikler. "I am excited to work alongside the talented leadership team and experts at Cambridge to expand the company's visibility in the marketplace and further advance growth strategies for years to come." Prior to joining Cambridge, Krikler spent 12 years at HomeEquity Bank, as SVP, Chief Financial Officer. In this position, he was responsible for all financial operations including reporting, treasury, capital management, underwriting, and internal audit. Notably, he was instrumental in the entity's successful application to attain Schedule 1 Bank status and more recently the successful sale of the business to Private Equity. He took the lead role in overseeing risk management, and at times operations management. Krikler was also the primary contact with the Office of the Superintendent of Financial Institutions. In addition, Krikler served as the Chief Financial Officer for AOL Canada, as well as McGraw-Hill Ryerson Ltd., one of Canada's largest publishers of educational and professional products in both print and non-print media. Earlier in his career he worked for several years with a full service CPA firm in New York City. Krikler is a Chartered Accountant and holds a Master in Business Administration from the Richard Ivey School of Business at the University of Western Ontario.